These are answers to some some of the most frequently asked questions. 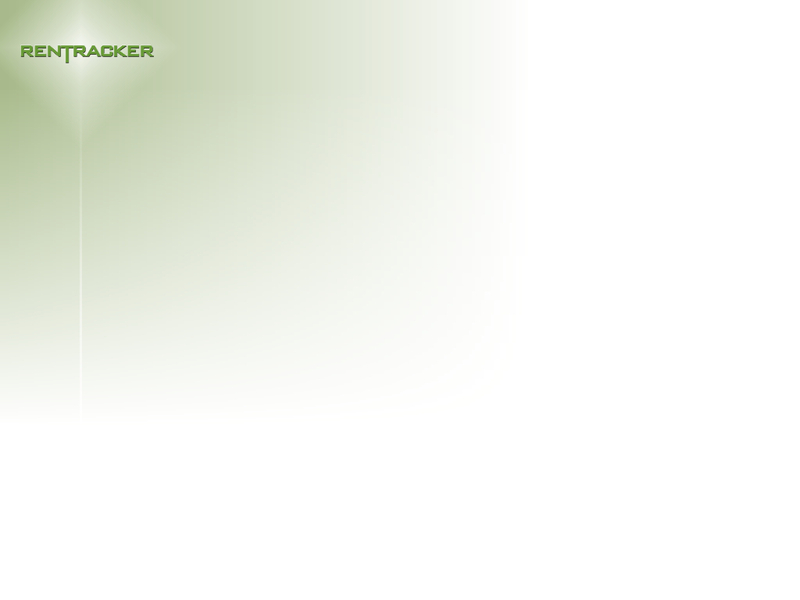 If you have a question that is not covered here, or would like more information about Rentracker, please contact us. I have several branches - can I get a discount? How can I be confident my information is secure? How easy is it to access my information? Are there similar systems on the market? What firms already use Rentracker? Rentracker is a powerful database system, which is now available to lettings firms via the internet. Each Rentracker client has their own separate, password protected database, which can only be accessed by authorised users. A complex computer program enables stored data to be manipulated to produce tailor-made reports and personalised standard letters in seconds. There are no one-off payments or set up costs. Rentracker costs just £20.00 per month . 3 I have several branches – can I get a discount? Please contact us to discuss your requirements and we will work out a price tailored to your needs. 4 How long do I have to sign up for? We are confident that once you start using Rentracker you’ll wonder how you ever managed without it! For this reason you are not locked into a fixed contract term and are free to cancel at any time. All we ask is that you give 30 days’ notice to allow us to take care of the administration and cancel the payment instruction. 5 How can I be confident my information is secure? Rentracker is fully compliant with the Data Protection Act. All data is stored on secure, password protected servers and backed up daily. 6 How easy is it to access my information? Very! You can log on to Rentracker 24 hours a day, 365 days a year from any internet-enabled computer anywhere in the world. Once you sign up to Rentracker you’ll be asked to choose a unique user name and password. Within minutes you’ll have full access to the client area of the system and can start inputting your property and landlord information. Once these details are loaded you will be able to produce reports and documentation immediately! 8 Are there similar systems on the market? No, we believe Rentracker is unique, it is fast, easy to use and does exactly what it says 'on the tin' without all the extra features that the majority of other systems have that are not necessary and rarely used. 9 What firms already use Rentracker? Rentracker has been used by many estate agency firms for over 12 years and has a proven track record. Contact us if you like an introduction to a Rentracker user and get the 'lowdown'.